Conductive 3D printing: How can additive manufacturing help electronics? Additive manufacturing can be really useful for electronics: you could totally use this 3D printing technology to manufacture the enclosure of electronic device, or to develop prototypes. Now, it is possible to go further and print electrical elements. Indeed, a lot of devices are now 3D printable, but is it really possible to create conductive 3D printed objects? In this blog post we are going to see how additive manufacturing can help to create electrical systems and how conductive 3D printing is now becoming a reality. The additive manufacturing technology is quite useful for electronic applications. Some of our customers with electronic projects are for example using our 3D printing service to manufacture enclosures. Or, for example, Simusolar, one of our clients, is using 3D printing to manufacture parts of circuit boards. Read more about this amazing project here. For you electronics project, 3D printing can be useful to develop prototypes, but also to produce. Indeed, if you need a prototyping solution, this method will allow you to make many iterations at a lower price and will be perfect to help you to develop your final product. Thanks to all the materials available on an online 3D printing service like Sculpteo, you will be able to produce qualitative parts. Conductive 3D printing could allow to go even further. The creation of electronic devices with conductive features using 3D printing can particularly be useful to develop IoT (Internet of Things) projects. It could be a way to develop even better and efficient products. Several experiments have been made to create conductive 3D printed parts. This innovation could allow you to create 3D printed devices like LED, or touch sensor. But it could be involved in bigger projects, in soft robotics, 3D electronics, and also for communication devices such as 3D printed Near Field Communication (NFC) antennas. Let’s see what the viable possibilities to 3D print conductive devices are, using new 3D printing material or new printing techniques. 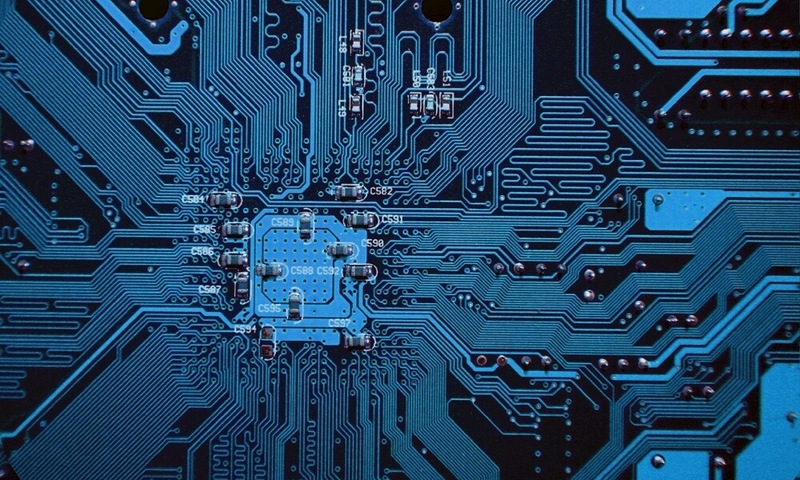 There are some conductive materials that could totally revolutionize new electronic constructions. We already told you about graphene, the wonder material in 3D printing. This material has great intrinsic properties. Indeed, it is not only one of the most resistant materials, it is also electrically conductive! The structure of this material makes it electrically conductive. Graphene is the structural element of many forms of carbon. Carbon atoms are arranged in a honeycomb structure and there is a single free electron in each atom. This way, the material can transmit currents through these free electrons. Conductive graphene filaments could be a great solution to create functional electrical elements. Keep in mind that this material is still less conductive than metals such as iron or copper. Some electrically conductive filaments have been developed using some ABS or PLA material, like graphene PLA filament. Regarding the strength of this material, it is more flexible than traditional PLA, but has less layer adhesion. For the moment, it seems that the only conductive 3D printing materials available are filaments, which can be used on desktop 3D printers. Soon, bigger professional 3D printers could be able to print with these electrically conductive materials, but to begin with, these first options are offering great possibilities. Indeed, these filaments could be useful in the development of wearable electronics, making it possible to create small electrical circuits. Here is another 3D printing method to develop conductive parts: hydroprinting. 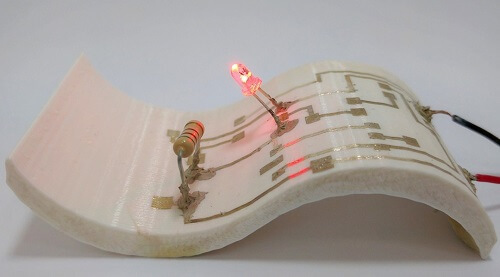 A paper in Advanced Materials Technologies published by Professor Shlomo Magdassi with some other researchers from The Hebrew University of Jerusalem and The Nanyang Technological University in Singapore, these researchers actually found a solution to 3D print conductive patterns. Using hydroprinting on a 3D printed part is allowing to manufacture a functional 3D printed conductive part. This process enables to print several layers circuits. It only requires repeating the same printing process for as many layers as needed. If you need more information about this impressive innovation and more details about the printing process of these conductive parts, please check our previous blog post, we tell you all you need to know about hydroprinting and conductive patterns! All of the experiments made to create conductive systems using the 3D printing technology are really promising. Nanotechnology and metal 3D printing could soon allow to print really small conductive components, circuit boards and electrical circuits. Hydroprinting and new conductive materials are all offering brand new possibilities and could make it possible to create fully 3D printed electronic devices. As you can see additive manufacturing has a lot to offer for electronics. It could become quite common to 3D print electrical elements. If you have an electronic project, but you don’t know what software you could use to start it: here is our selection of the best CAD software for electronics. Then, don’t hesitate to try out our online 3D printing service. You will just have to upload your 3D file, we will take care of it and send you your 3D printed objects in a few days. Don’t forget to subscribe to our weekly newsletter to learn about all the different 3D printing applications.